The Parthenon Company Blog - Specialists in Wound and Ostomy Supplies: How To Remove Ostomy Paste - Stomahesive Paste, Adapt Barrier Paste and More! How To Remove Ostomy Paste - Stomahesive Paste, Adapt Barrier Paste and More! Below is the procedure to remove ConvaTec's Stomahesive Paste! 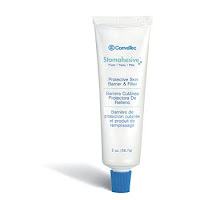 Stomahesive Paste is not a glue or adhesive, but a filler or caulking agent to smooth the area of skin around your stoma to create a flat surface for the ostomy appliance. It does contain alcohol so it may sting if your skin if it contacts an open wound or skin ulcer. Stomahesive Paste is one of the most popular ostomy accessories we sell and it works great so long as you know how to remove it! The removal process is simple and easy. Just remove the ostomy skin barrier by supporting the skin with one hand and gently peel the skin barrier away from your skin. Adhesive remover wipes such as AllKare Adhesive Remover Wipes or Smith & Nephew Uni-Solve Wipes are commonly used. If you don't get all of the Stomahesive Paste removed, used warm water and a soft cloth get the excess. It isn't necessary to remove all of the paste before a new application of an ostomy appliance. It is better just to leave it than to irritate the skin with scrubbing. 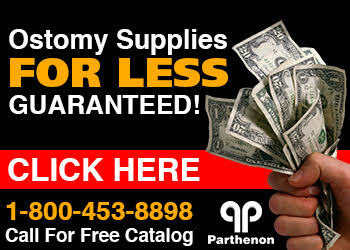 Ostomy supplies, colostomy bags, ostomy deodorants and more at Parthenon! Lowest prices every day!